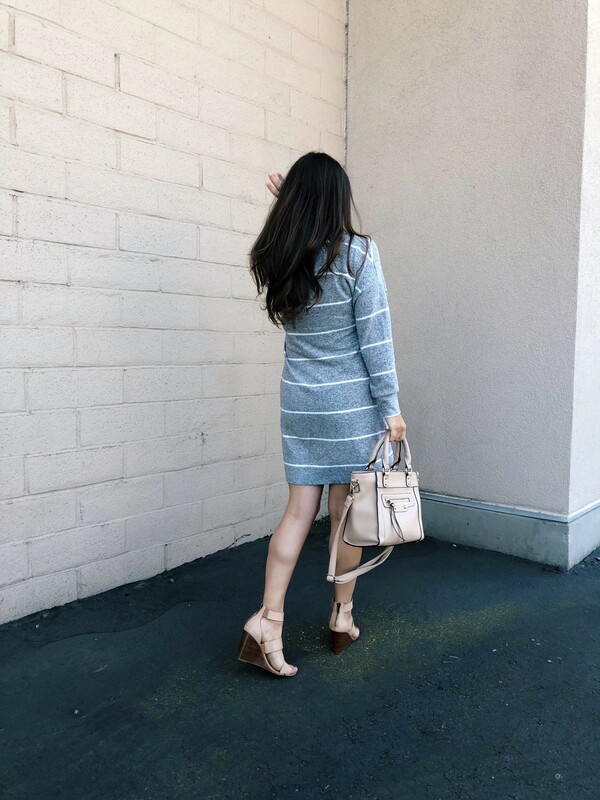 Stripes are probably my favorite print to wear, and I thought this striped tie waist dress was super cute. When I ordered it, I thought it would be a more lightweight cotton dress, but its actually like a thin sweater material, which I actually like. I really like it too because its loose fitting, and it works well now, and I’m sure it will still work later in my pregnancy. I really don’t like to spend too much money on maternity clothes that I’ll only wear for a few months, so I really like to look for items that will work now, when I’m bigger, and after pregnancy.